Over the years, Integrity Property Services has built a solid reputation for our interior renovations work. Our projects range from the very routine (texture repairs, new light fixtures) to the highly involved (property stabilizations, kitchen remodeling). Please allow this note to serve as a strong recommendation on behalf of the entire IPS organization. 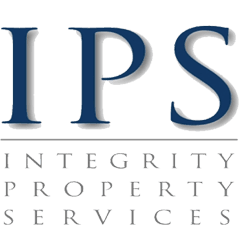 IPS is a top-notch general contractor who brings a wealth of knowledge, experience, and can-do attitude to the job-site everyday, no matter how difficult the task. They treat each project as if their own. Their established relationhips around Florida, the South East, as well as anywhere in the mid-western states are impressive. Further, they are no stranger to any municipality department nor to Lenders' constant requests for more information. It has been a pleasure doing business with IPS over the past many years with several projects succesfully behind us. Integrity Property Services is made up of Multi-Family Industry veterans. All team members share a passion for making each project a success beyond expectations. Our management team consists of licensed construction and management professionals with years of experience in multi-family, student housing and senior living property services, including complete property renovation’s, repositioning and stabilization and capital improvements. IPS specializes in "On Time- On Budget" project delivery. It is our mission to maximize the value of the asset for all involved. We invite you to contact us with details about your project.